The 2015 Annecy International Animation festival took place last week in the French town of the same name, and much of the world's foremost animation talent was on hand. As with most festivals, it also functions as a competition, with submitted films, shorts and programmes competing for the top prize. 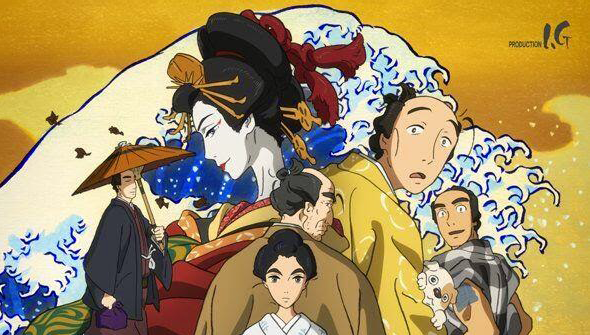 In the feature competition the top honours went to Miss Hokusai, April and The Extraordinary World and Long Way North. Miss Hokusai is a 2D Japanese feature from Production I.G. telling the unknown life-story of the daughter of the renowned Japanese artist Hokusai (best known for The Great Wave off Kanagawa). Due to be released in the UK later this year via Anime Limited, the biography won the Jury Award. April and The Extraordinary World- an intriguing looking French steam-punkish adventure romp set in an alternate history 1940s- took home the Crystal for Feature Film. It was also announced that the film would be coming to America early 2016 via GKIDS. Long Way North, winner of the audience award is a French feature following a young Russian who follows in her grandfather's footsteps to the North Pole. Among other winners were US indie animator Don Hertzfeldt's World Of Tommorow and We Can't Live Without Cosmos (also featured in the Animation Show Of Shows). The Full list of winners is below.